Interaction: LinkedIn Pages allows for more daily interactions within the community. If you’re a page admin, you can now respond to comments from the LinkedIn mobile app “on the fly,” as LinkedIn calls it. Admins (you can add multiple to your page) can also associate brand Pages with hashtags, allowing for responsive and active conversations about their brand or topics on LinkedIn. Plus, you’re now able to post and share documents like PowerPoints, Word docs, and PDFs along with the usual images and videos. Content Suggestions: This is a new feature on LinkedIn Pages that surfaces topics and content trending within your target audience. It’s easier than ever for admins to curate and create content that the audience is sure to engage with. As a bonus, Career Pages gives the option for engaging current and potential talent with the Life and Jobs tabs. These provide a customized look into the company culture, job opportunities, and what it’s like to work for your company. Employee Voices: Amplifying the voices of your employees is a great strategy and asset for building stronger connections within your audience. Pages can now engage in employees’ LinkedIn posts by re-sharing posts from their page. You can also re-share any posts on LinkedIn when your company’s page is mentioned, like testimonials and reviews. Showcasing conversations about your company on your LinkedIn Page can help your brand stand out from the crowd. Complete Your Page: According to LinkedIn, companies with complete information get 30% more weekly views. A complete Page includes a description (don’t forget relevant keywords about your business! ), a company logo and cover image for brand recognition, and company information like your URL and location. Share Good Content, Often: LinkedIn found that weekly company posts see twice the content engagement – so get sharing! Posting daily enhances the real connection between you and your audience and builds trust in your community. Asking questions and posting rich text – videos, PDFs, PowerPoints, and more – helps to start the conversation. Highlight Your Employees: Amplifying the voices of your employees is one of the pillars LinkedIn Pages was built on. And for good reason! Employees generally have 10x the social reach of their company page. Now with Pages, you can share your employees’ best posts, leverage their personal networks, and build better brand connection for your company brand. LinkedIn has a community of more than 590 million members and 30 million Pages. Because LinkedIn Pages rank highly in search results, it’s important to understand the ins and outs of how this new feature works so your business is ready to engage with those who matter most in 2019. 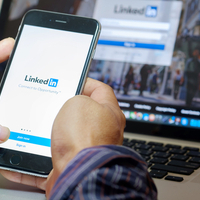 Whether you’re creating your very first LinkedIn Page, or need to update your current page to utilize the new features available, expanding your brand has never been easier thanks to LinkedIn Pages.